Came down to Duluth for the day Friday and decided to check out the downtown area and visit Jitters Coffee and Tea House. 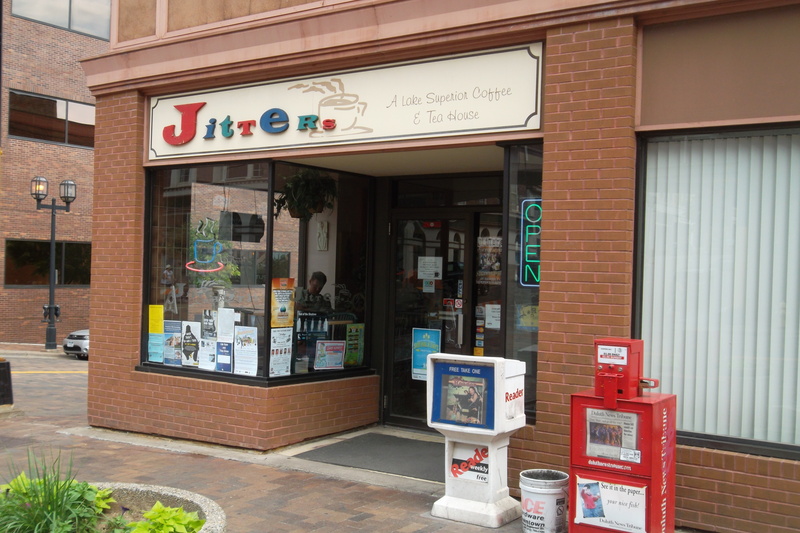 Jitters has a great corner store location in the heart of downtown Duluth. I stopped in and ordered a iced vanilla latte (it was a hot day). My latte was very good, and the place was very unique! A middle aged man wearing a kilt sat at the coffee bar with his laptop and the barista was chatting with someone who sounded like they we’re writing some sort of Werewolf novel. If I lived in Duluth this place woud definitely be my regular haunt. The place had some Pride too! A rainbow flag on the wall as well as some kind of LGBT community involvement award plaque and some copies of Lavendar Magazine. The interior had an interesting decor as the walls we’re made to look like cute storefronts. They also had some local interest artwork for sale on the walls (nothing too exctied, mostly paintings of moose, lakes and ducks). The windows were pretty full with posters for local art shows and music. 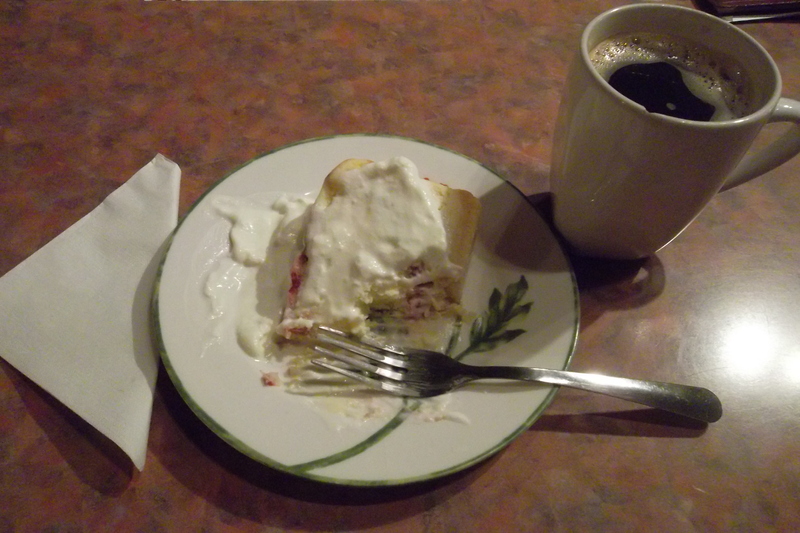 After some more exploring and shopping around downtown Duluth I stopped back in for a cup of butter rum coffee and a raspberry white chocolate cheesecake. Yum! If you find yourself in downtown Duluth, I’d highly recommend a stop by Jitters!